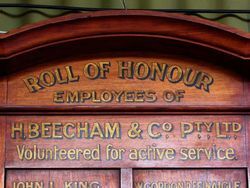 The Honour Roll commemorates employees from the company who volunteered for active service in World War One. 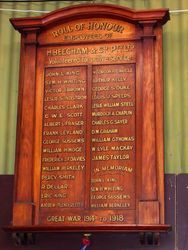 This honour roll was relocated from Melbourne. 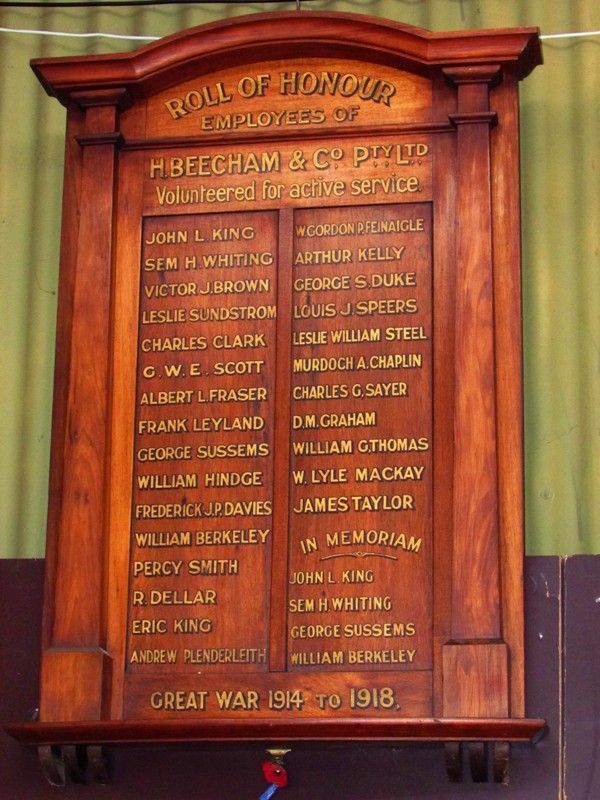 H.BEECHAM & Co. Pty. Ltd.
GREAT WAR 1914 TO 1918.